The president believes a similar 2016 law for radio was a success. President Petro Poroshenko intends to submit to parliament a bill introducing quotas on the Ukrainian language on television. Speaking on the Shevchenko Prize ceremony on 9 March, the president said the adoption of the language bill for the radio significantly boosted the presence of Ukrainian songs and the Ukrainian language on the air. 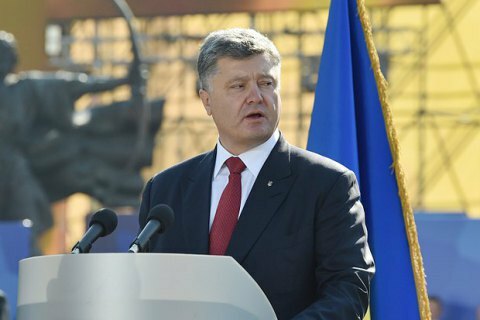 "Step by step, the share of the Ukrainian language output on the radio is increasing," said the president. Poroshenko said he will soon suggest a similar legislation for television "where the presence of the Ukrainian language is unacceptably small." "A year ago I called on the television industry to organize themselves on this issue. Unfortunately, not everyone got the message. Now it is up the legislator, " Poroshenko said. A law requiring radio stations to ensure at least 35 per cent of its broadcasts are in the Ukrainian language came into effect last November.